IS A BUSINESS BECAUSE IT IS REGISTERED AS “CORPORATION SOLE”? 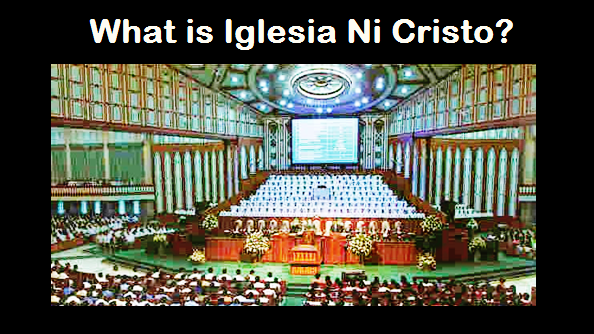 The Iglesia Ni Cristo (Church Of Christ) was registered as a religious corporation and corporation sole in July 27, 1914 eith the Philippine Government. After Worls War II, the government all corpoations to be re-registered, thus, the Iglesia Ni Cristo was again registration, but again it was still regustered as a religious corporation and a corporation sole. The Church was registered as a religious corporation and a corporation sole because this is what the law in the Philippines mandated. Frin then and up to the present, the Iglesia Ni Cristo is still registered as a religious corporation and a corporation sole. This registration of the Churc cannot be change into "stock corporation" because the our law mandates that all religions must be registered as a corporation sole or unipersonal corporation. “1. group regarded as individual by law: a company recognized by law as a single body with its own powers and liabilities, separate from those of the individual members. “Corporations perform many of the functions of private business, governments, educational bodies, and the professions. “2. local governing authority: the governing authority of an incorporated municipality such as a city or town. CFD accused us of being a business because the Iglesia Ni Cristo (Church Of Christ) was registered as a corporation sole, this also shows their grave ignorance.